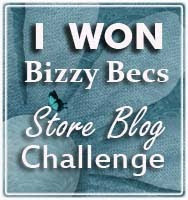 Hi everyone, I would like to share a card with you that I made using the digital image "Butterfly" which is part of the Blue Butterfly Digi Stamps available form Bizzy Becs Online Store. 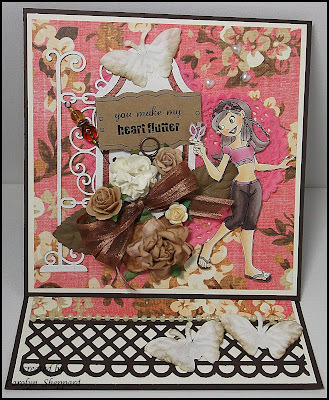 I have used card making kit 6 for the background paper, flowers and ribbon along with a Scrapmats Sign Post. The Birthday Wishes ticket is from the Bizzy Becs Digital Sentiments "3 Scallop Style Valentines Sentiments".